This name uses Philippine naming customs. The first or maternal family name is Quilinging and the second or paternal family name is Pimentel. Aquilino "Nene" Quilinging Pimentel Jr. (born December 11, 1933) is a Filipino politician who served as the President of the Senate of the Philippines from 2000-2001. His son is the incumbent Senate President Aquilino Pimentel III. Born into a political family in Cagayan de Oro in Mindanao, Pimentel rose to national prominence as an elected delegate to the Constitutional Convention of 1971, representing Misamis Oriental. The nature of the Constitutional Convention changed when then President Ferdinand Marcos declared martial law on September 21, 1972. Pimentel and a few like-minded delegates feared the Constitutional Convention would produce a Marcos-scripted Constitution and were vocal in their opposition. Pimentel also protested certain provisions as being contrary to the people's interest. In the subsequent roundup of those who opposed Marcos, he was arrested in early 1973 and jailed for three months at Camp Crame. Pimentel, who had a young family, bade his wife Bing "Be brave. Don’t cry," and submitted to the incarceration. He was released from prison in time for the signing of the Constitution. Along with a few other delegates, Pimentel refused to sign the Constitution. He then went to work as a lawyer for the National Secretariat for Social Action of the Catholic Bishops Conference. In April 1978, Pimentel ran for a post in the Interim Batasan elections as an official candidate of the Laban party of Metro Manila with Benigno S. Aquino Jr.. Members of Marcos’ KBL party swept the seats. Pimentel and other opposition leaders like Senator Lorenzo M. Tañada, Francisco Soc Rodrigo, Fisty Guingona, Archie Intengan SJ, and Chino Roces loudly protested the defeat of all opposition candidates and denounced the massive cheating that had taken place. Pimentel was one of those arrested for leading a demonstration against what he termed farcical elections. He had spoken out against Marcos’ bid to produce a rubber stamp legislature to win legitimacy for his iron-fisted regime which was increasingly being criticized here and abroad. Pimentel was jailed for two months in Camp Bicutan, Metro Manila. Pimentel's second stint in prison did not silence him. In fact, it strengthened his resolve to fight for freedom and to oppose electoral fraud. Ever the parliamentarian, he brought the battle from the streets to the polls in January 1980 when Marcos allowed local elections. His wife Bing recalled they launched his mayoralty bid in Cagayan de Oro with a mere P2,000 in his war chest – all the money the couple could muster. But Cagayanons who believed in him contributed to his campaign and penned his name on their ballot. Pimentel won by a 3-1 margin over his KBL rival, who was fielded by Marcos. Pimentel ran under the coalition banner of the National Union for Democracy and Freedom and the Mindanao Alliance which busted KBL dominance in Misamis Oriental. He and his entire slate of candidates for vice mayor and seven city councilors swept the elections in Cagayan de Oro. His candidates for governor and vice governor also won. Pimentel was not to govern his city unhindered. In 1981, while he was on a five-week training course in the United States, the Comelec ousted him for "political turncoatism," installing the KBL candidate as mayor. The Comelec cited Pimentel for switching from Laban in April 1978 to the Narional Union for Democracy and Freedom in December 1979 and then running as candidate of the Mindanao Alliance in January 1980. The Comelec's move ired the Cagayanons. Pimentel partisans immediately staged peaceful demonstrations to express their displeasure. About 30 of his supporters also started fasting in protest. Six days later, 10,000 of his supporters marched around the city in a nonviolent show of support for Pimentel who was then on an official trip to the US. Thousands more lined the streets to cheer them on. This first-ever demonstration of "People Power" came at a time when Marcos did not lightly tolerate dissent. Meanwhile, in Manila, Pimentel's lawyer, headed by opposition leaders former Senators Lorenzo Tañada and Soc Rodrigo, along with Abraham Sarmiento, Raul Gonzales and Joker Arroyo, claimed that the Comelec had acted without jurisdiction and contented that the electorate's will should be respected. The Comelec, however, reaffirmed its decision to oust Pimentel. The conflict made national headlines and photos of demonstrations in Cagayan de Oro appeared in a major daily. To defuse the escalating turmoil, Marcos engineered a truce and reinstalled Pimentel as mayor, pending a Supreme Council decision. Pimentel arrived from the US in time to pick up the reins of city government that had briefly been wrested from him. In 1983, while he was in Cebu City, Pimentel was arrested on charges of rebellion and was detained. He had allegedly given P100 to new People's Army commander. Bing Pimentel recalled it was horrible time as the family did not know where he was. They traced him to Camp Sergio Osmeña and later to Camp Cabahug in the City of Cebu. Even as he was held in the military detention centers, his followers from Cagayan De Oro and other parts of the country visited him by the hundreds to boost his morale and keep his spirits high. Nene Pimentel disputed the charges and was later released. Returning home, he was mobbed by thousand of his supporters upon his arrival at the pier of Cagayan De Oro. Later, he was again arrested for allegedly engaging in ambuscades. His supporters contributed centavos and pesos in small denomination to bail him out. Subsequently, Pimentel was placed under house arrest which lasted for almost seven months. From the confines of his home, Pimentel continued to keep abreast of national news. He helped rally the opposition, ran the city and launched his bid as assemblyman for the Batasang Pambansa. He was, if anything, not quiet. He protested relentlessly and fearlessly against injustice, fraud, corruption and Marcos’ dictatorial rule. Then, in the aftermath of the assassination of Marcos's chief rival, Benigno "Ninoy" Aquino Jr. in 1983, Pimentel won a seat in the Batasang Pambansa elections of 1984. But the Marcos government ousted him on the allegation that he had cheated in the elections. The Supreme Court itself recounted the ballots in an electoral contest. The feisty Pimentel, a relentless critic of the Marcos regime, was often seen with Ninoy's widow, Cory, as they rallied the opposition. At one point, Cory asked him to be her running mate in the 1986 Snap Elections and he agreed. However, at the 11th hour, when Cardinal Jaime Sin brokered a political marriage between Cory and Salvador "Doy" Laurel, Jr., Pimentel graciously stepped aside and let history run its course. The widow toppled the dictator who fled the country. Upon her ascent to power President Aquino appointed Pimentel as Minister of Local Government. He had the unenviable task of dismantling the structure of dictatorship and corruption left behind by the Marcos regime. Pimentel wielded the axe deliberately, gaining a breathing space for the new administration. His critics alleged he had sold positions in the new government, but none could make the charge stick. Pimentel incurred the ire of some but also the respect of those who saw that he did it without fear or favor or taint of corruption. He then was elected Senator (1987–1992), authoring the seminal Local Government Code. As Senator, he authored and sponsored several key pieces of legislation, among them the Local Government Code of 1991, the Cooperative Code, the Philippine Sports Commission Act, the Act Creating the Autonomous Region in Muslim Mindanao, and the People's Small-Scale Mining Act. He also authored and co-sponsored the Generic Drugs Act and the Act Establishing the Philippine Police under a Reorganized Department of Interior and Local Government. He then launched a bid for the vice presidency in 1992, running under the Liberal Party with Jovito Salonga running for president, finishing fifth among the vice presidential candidates by garnering 9.9% of the vote. He was defeated in the 1995 national elections after running for another term for the Senate placing on number 15. He then took the case to the Supreme Court eventually winning the suit in 2004. In 1998, he ran successfully for another term in the Senate of the Philippines, from 1998-2004. On October 2000 Senate President Franklin Drilon issued a statement about the Juetengate Scandal of President Joseph Estrada. Drilon was removed as Senate President the next month through a Senate revamp and Aquilino Pimentel, Jr. was installed as Senate President. On December 2000, an impeachment case was filed on the Senate. On January 16, 2001, Pimentel was one of those who voted in favor of the opening of the second bank envelope. Their vote was outnumbered and some of the opposition senators cried in front of Senate President Pimentel. Joseph Estrada was ousted in January by the second EDSA People Power Revolution. Pimentel occupied the Senate Presidency until the end of the regular session on June 2001. He was reelected in the May 10, 2004 National Elections attaining the third highest number of votes nationally of nearly 80 candidates for 12 Senate seats. As chair of the Blue Ribbon Committee, he has recommended the prosecution of top government officials of previous administrations in relation to the Expo Pilipino centennial scam and the misuse of the funds of the Retirement and Separation Benefits Systems of the Armed Forces. He has also recommended the prosecution of certain personnel of the Land Registration Administration for involvement in faking of land titles. Recently his committee also conducted series of investigations into the allegation of Governor Luis "Chavit" Singson on jueteng scandal. As Chair of the Committee on Local Government, he has supported far-reaching amendments to further strengthen the role of local government units in national development. He has also gotten senate approval to return the police to the supervision of LGUs and has authored a law to fix the date for elections of ARMM officials. He is the president and founder of the PDP-Laban party. 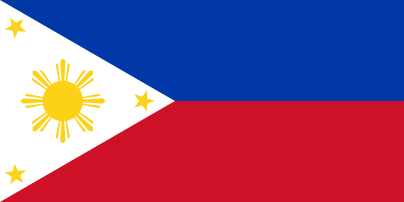 On April 25, 2008, Senator Pimentel authored a bill that would shift the Philippines into a Federal Republic of the Philippines. Pimentel left office on June 30, 2010 after serving three senate terms and briefly as Senate President. ↑ Arrested on the eve of the declaration of Martial Law. † — Position vacated when Fernan died in 1999. # — Position vacated when Cayetano died in 2003.